Witch! 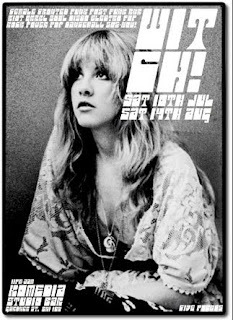 is a night of female-fronted sounds from the 60s to now that my friend Steph has just started in Brighton with Chris King. But I really just like that it's called Witch! and that the font and poster totally make me think of an early 70s Italian horror film (even though that's Stevie Nicks pictured).